I love to play with different exposure times and the water at beaches! Some nice patterns like this one come up again and again, every picture looks different. 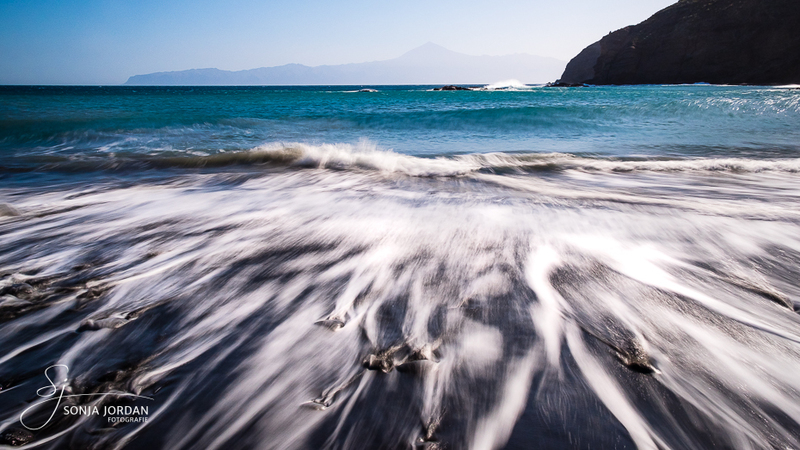 I especially like the contrast between the black sand beach and the water here.